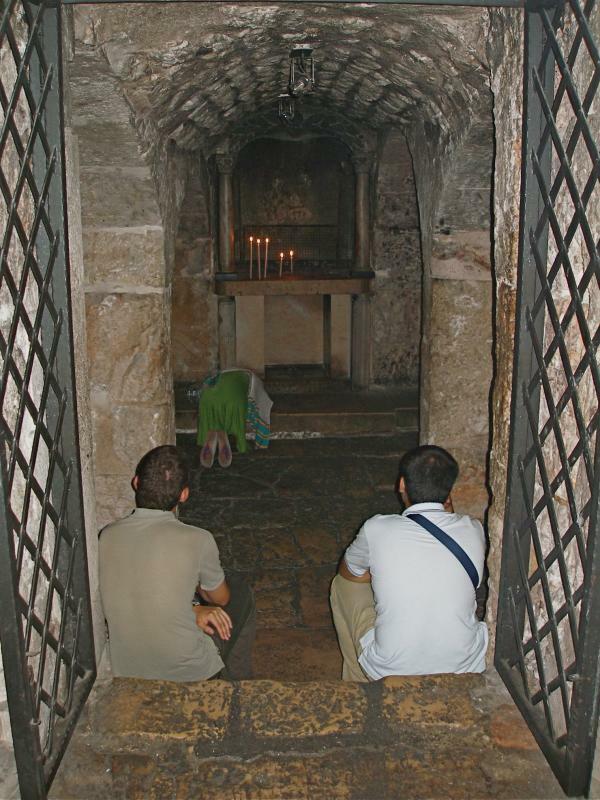 In a setting of neatly maintained gardens and trees, the Garden Tomb provides a tranquil environment for prayer and reflection. 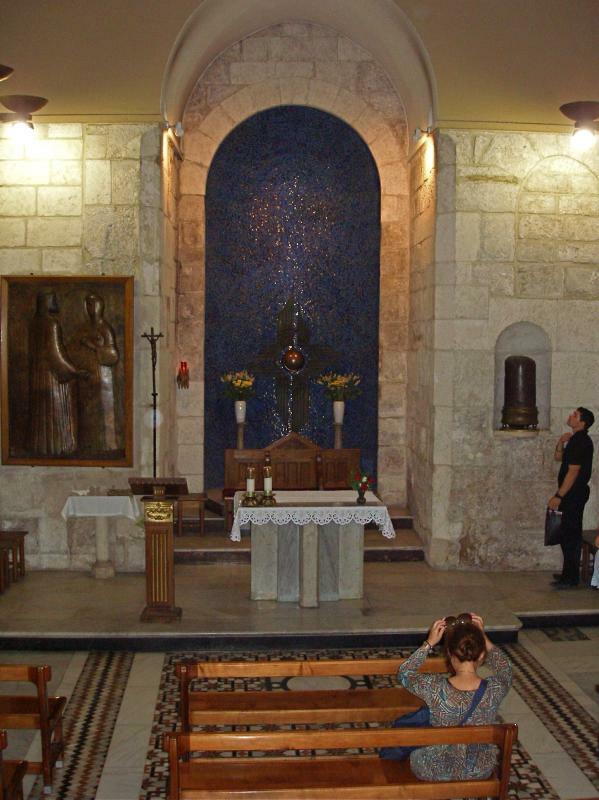 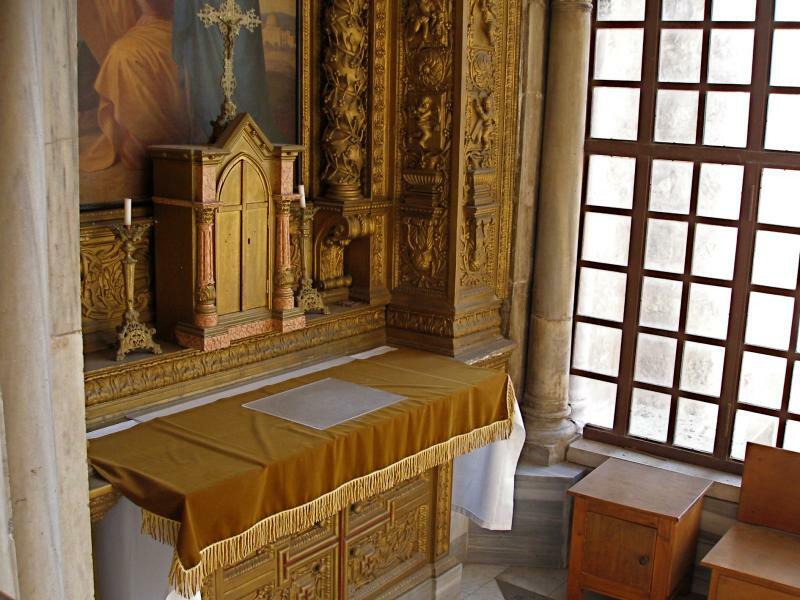 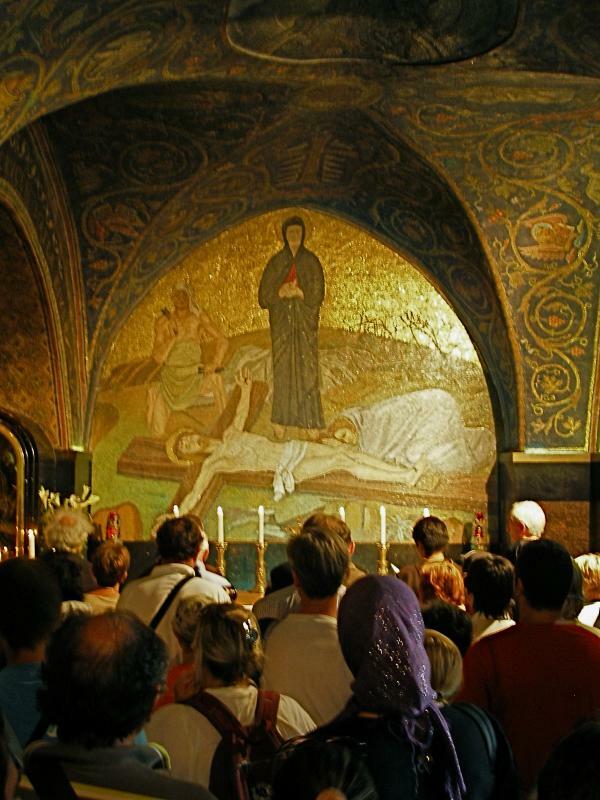 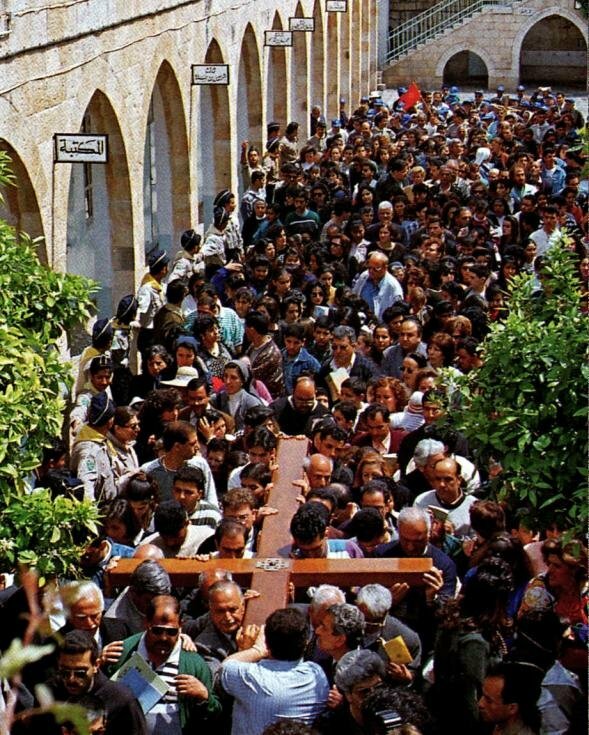 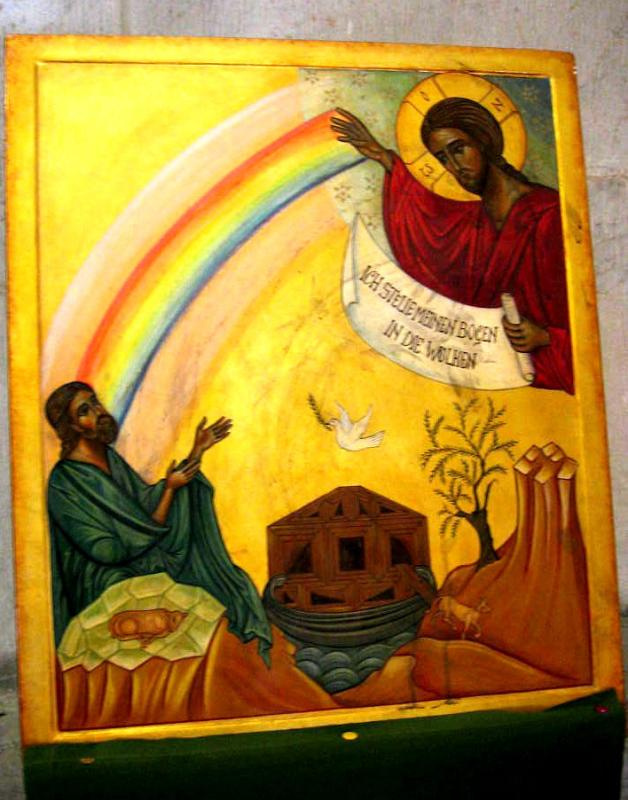 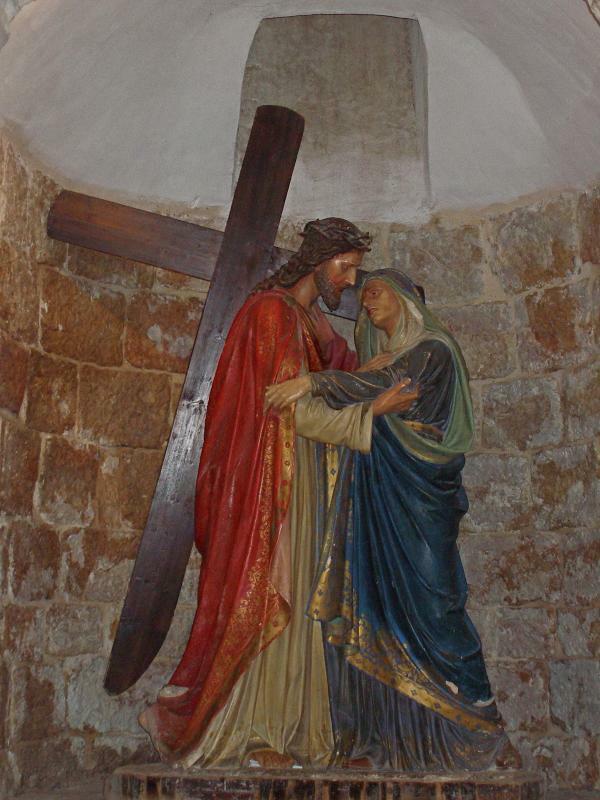 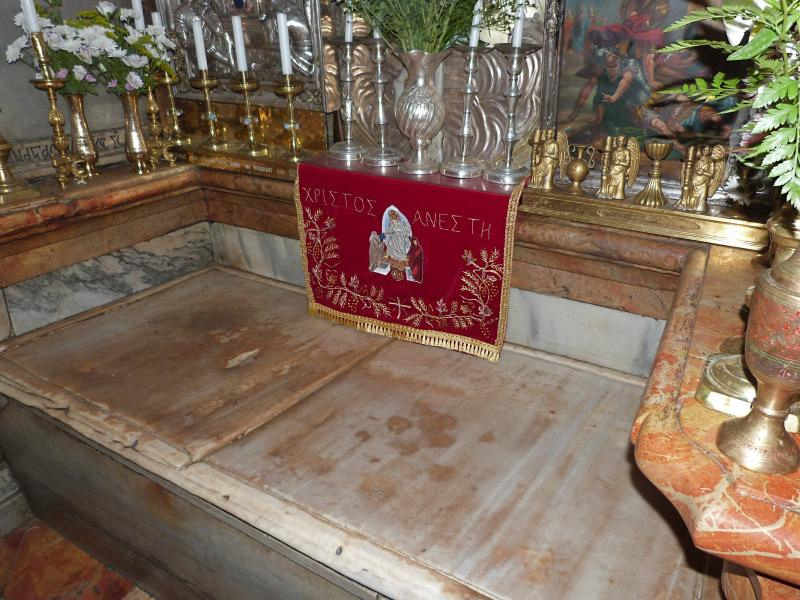 But any claim that this is where Christ was buried and rose from the dead lacks authenticity. 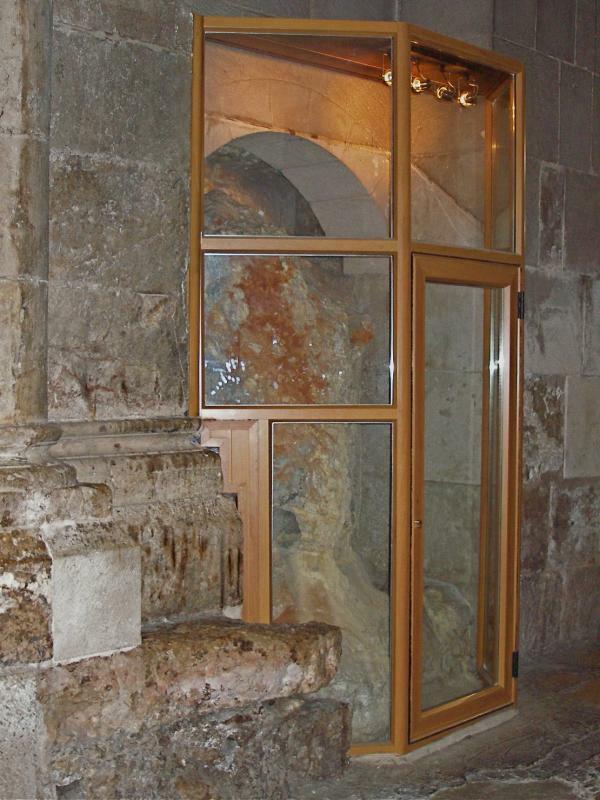 The open tomb carved into a rock face, with skull-like erosion in a limestone cliff nearby, can be found down an alley off Nablus Road, north of the Damascus Gate in Jerusalem. 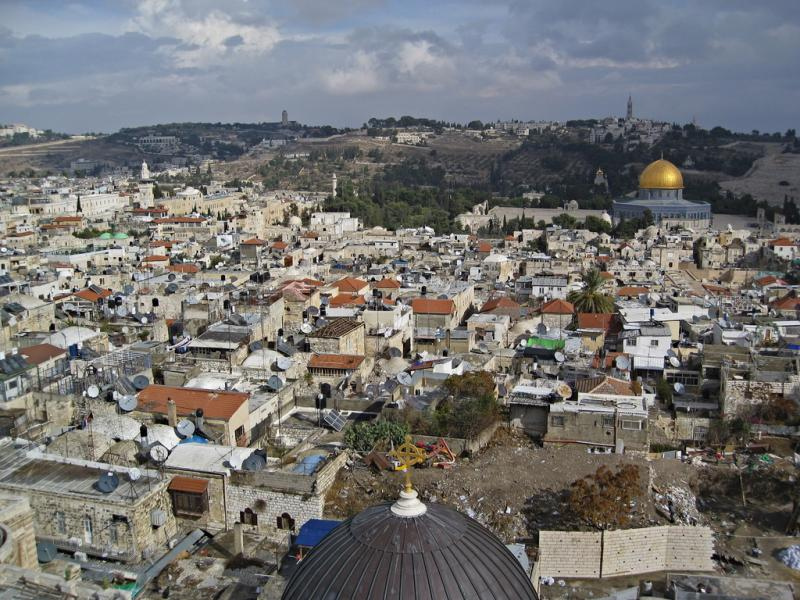 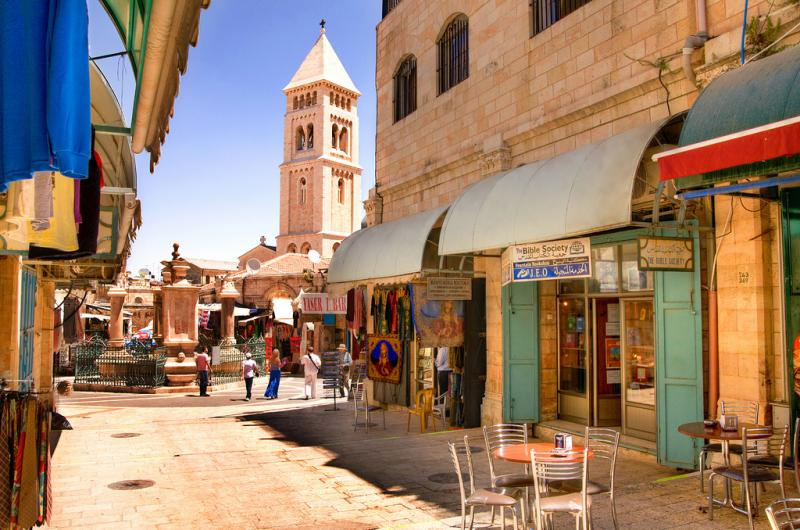 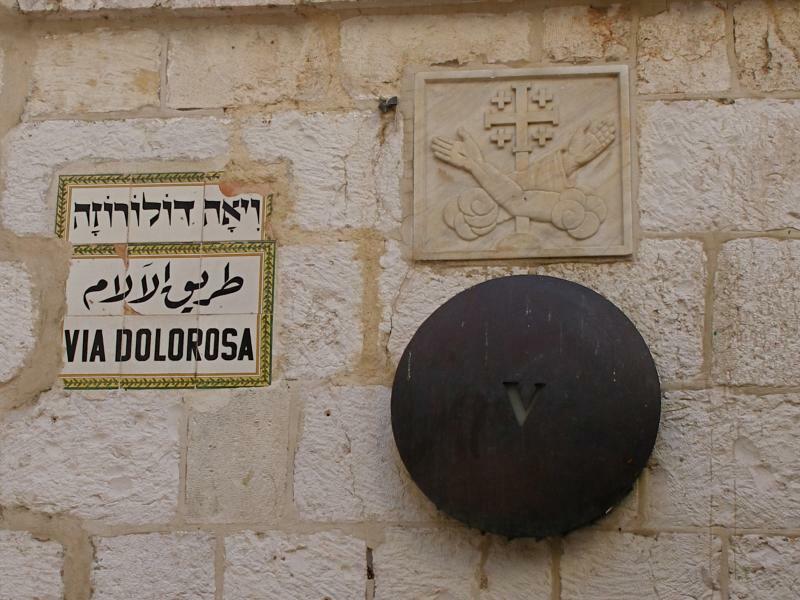 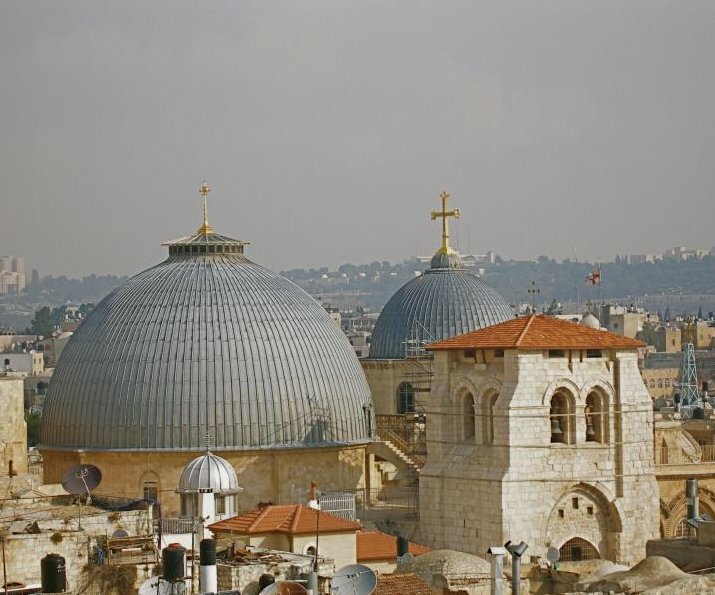 The site is particularly favoured by Protestant pilgrims, in preference to the cluttered Church of the Holy Sepulchre in the Old City. 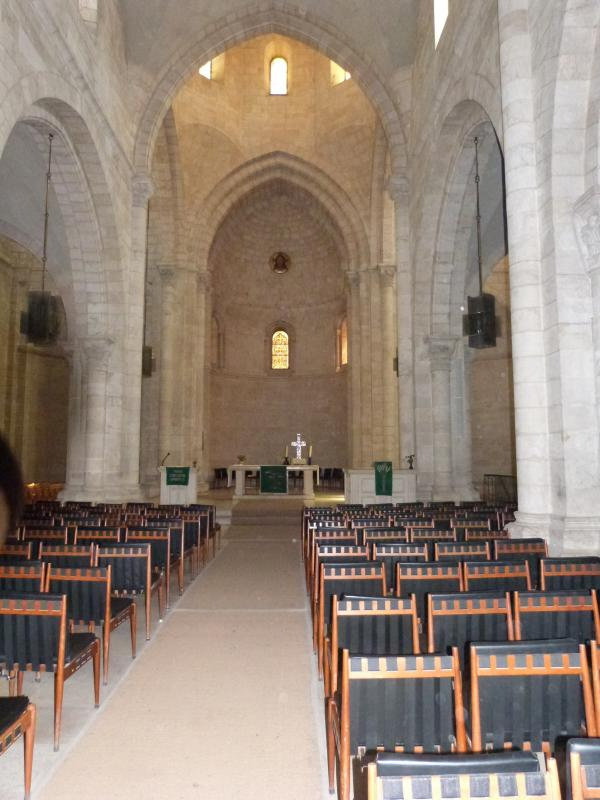 For a period it enjoyed the formal support of the Anglican Church. 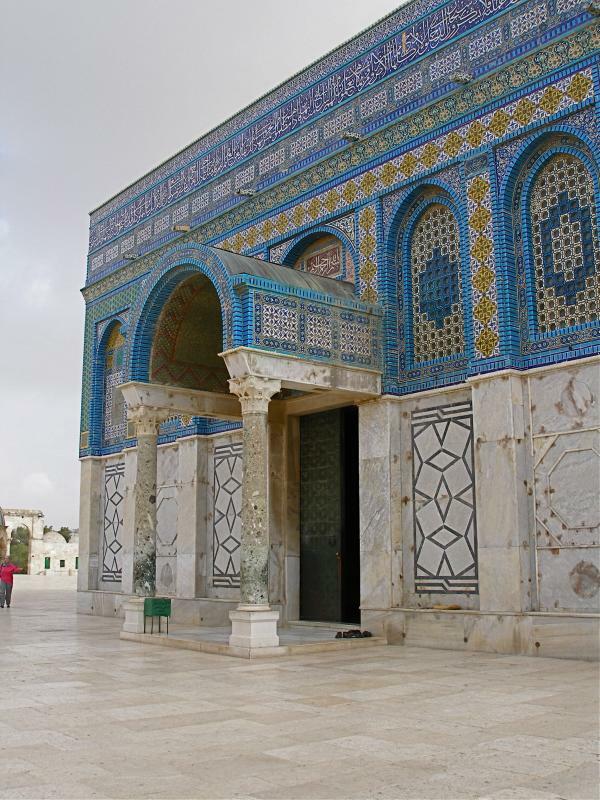 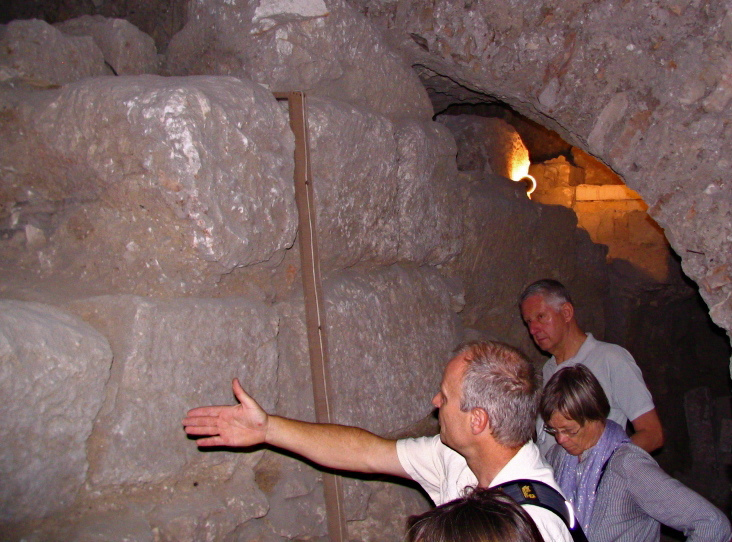 The Nablus Road site of the Garden Tomb was first proposed in 1842 by a German scholar, Otto Thenius. 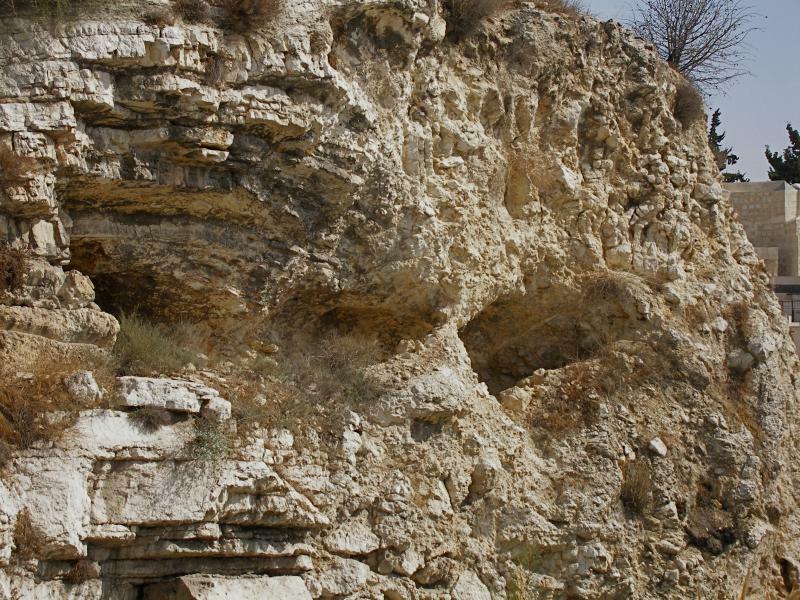 He suggested that the skull-faced cliff was the hill of Golgotha, where Jesus was crucified. 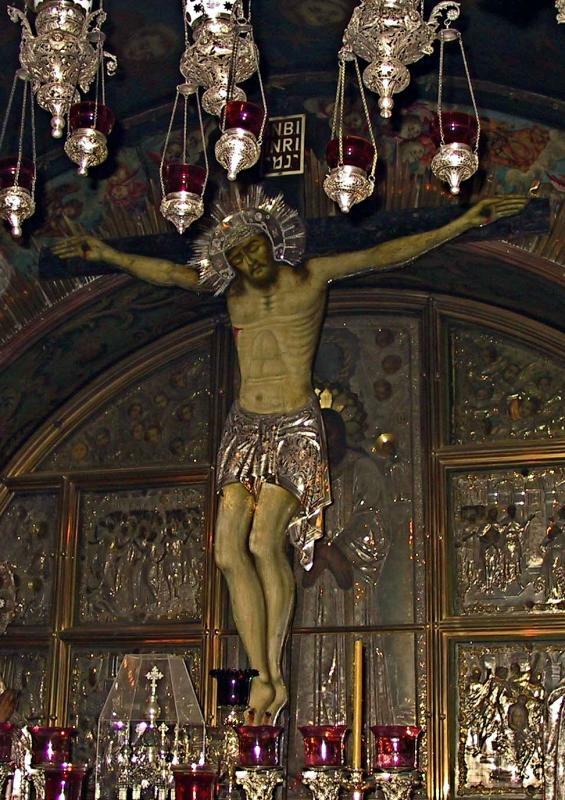 John’s Gospel (19:17) describes the place of crucifixion as “The Place of the Skull, which in Hebrew is called Golgotha”. 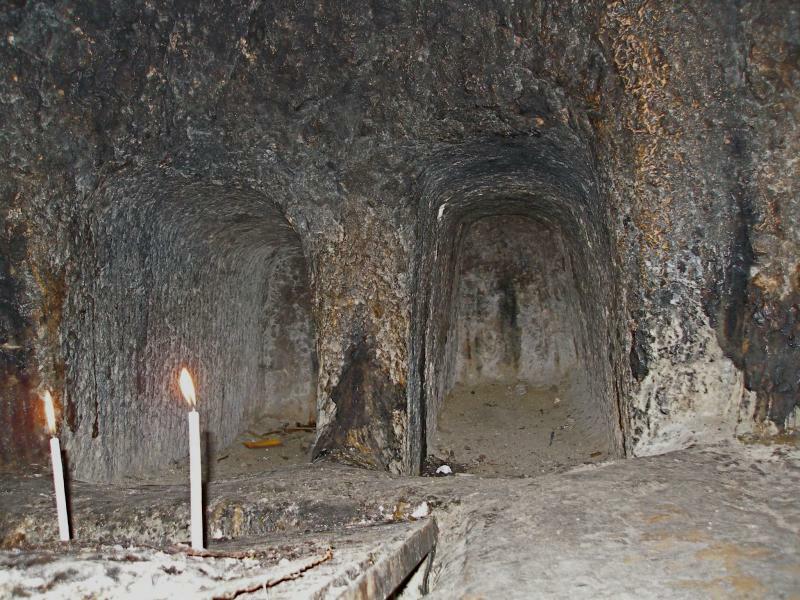 The rock-hewn tomb nearby was found in 1867. 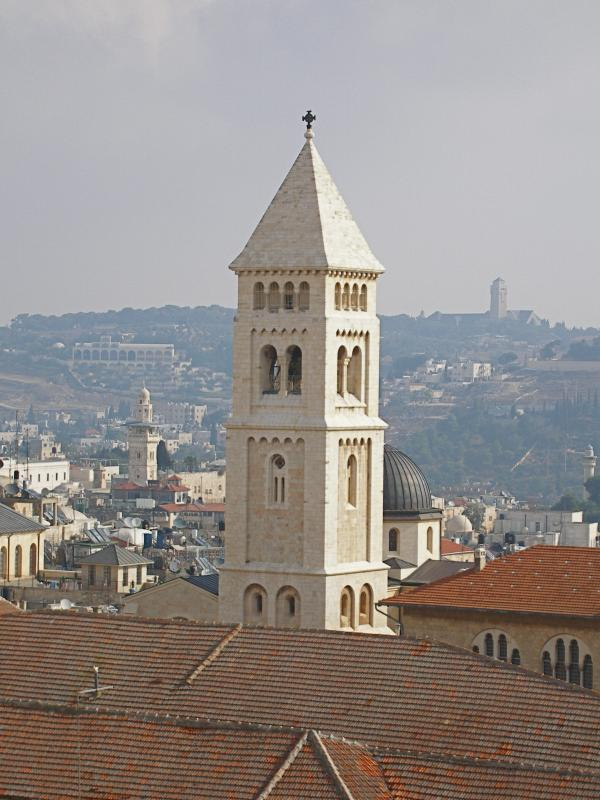 The main advocate of this site was a British army officer and administrator, Major-General Charles Gordon, who visited Jerusalem in 1882-83. 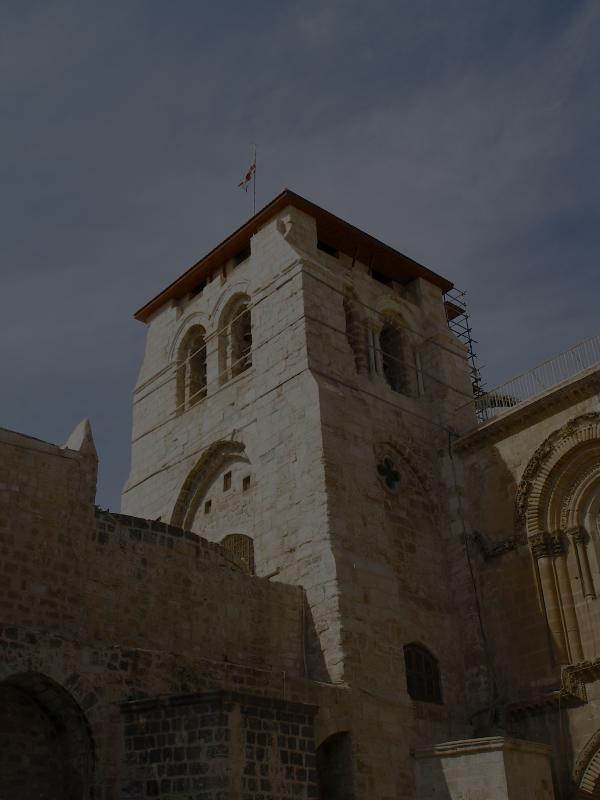 Though he had no academic education in history or archaeology, a dream assisted him to identify the cliff as the place where Jesus was crucified. 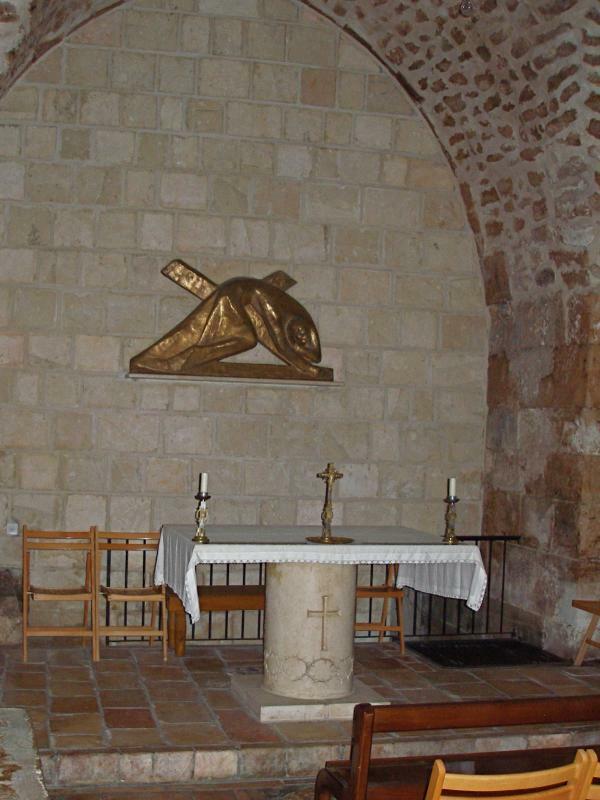 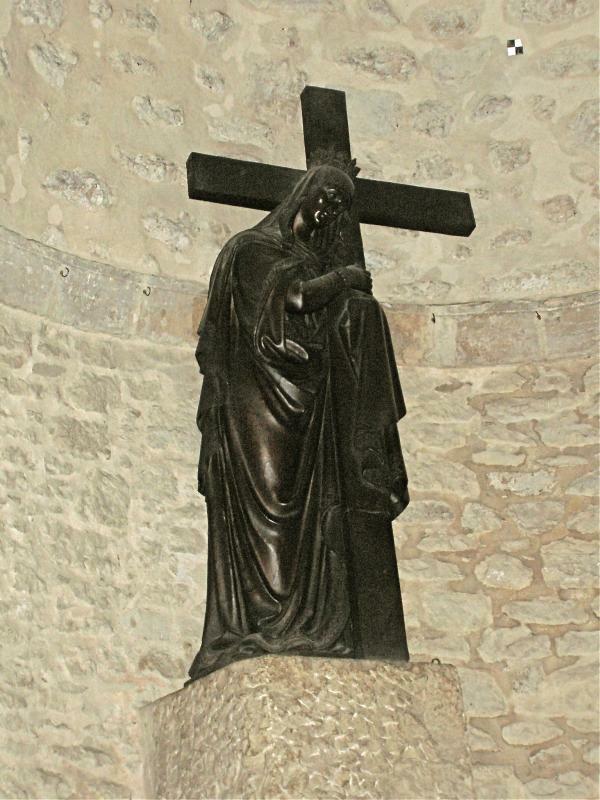 For years the site was known as “Gordon’s Calvary”, Calvary being Latin for Golgotha. 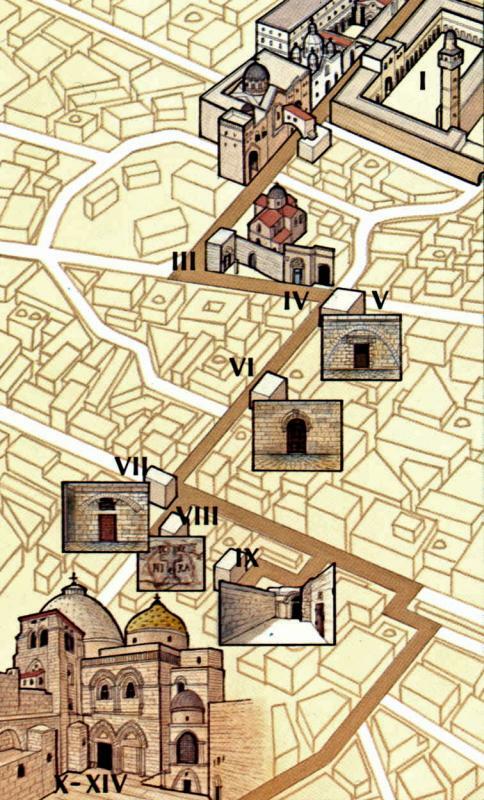 The idea that the “Place of the Skull” was named because of a skull-like hill is a modern notion. 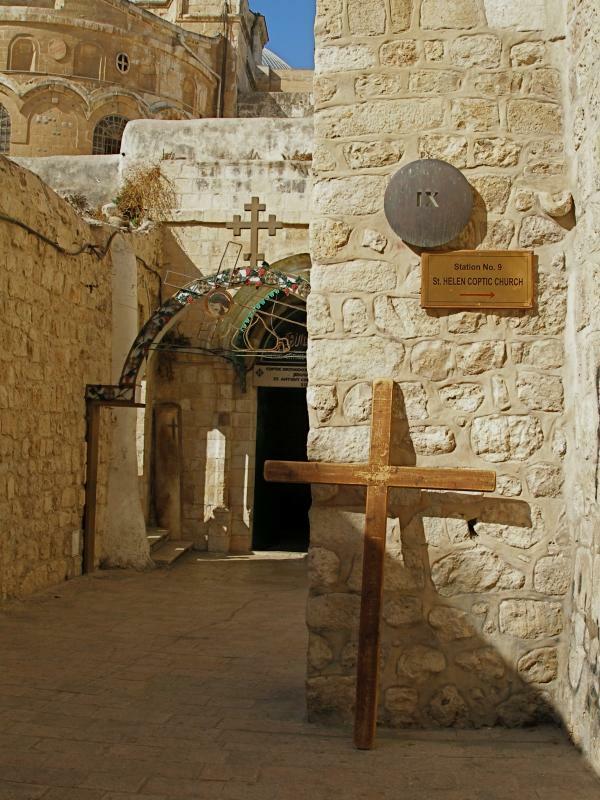 Most early Christian commentators held that Golgotha was so named because it was a place of execution, where criminals’ skulls and bones lay scattered. 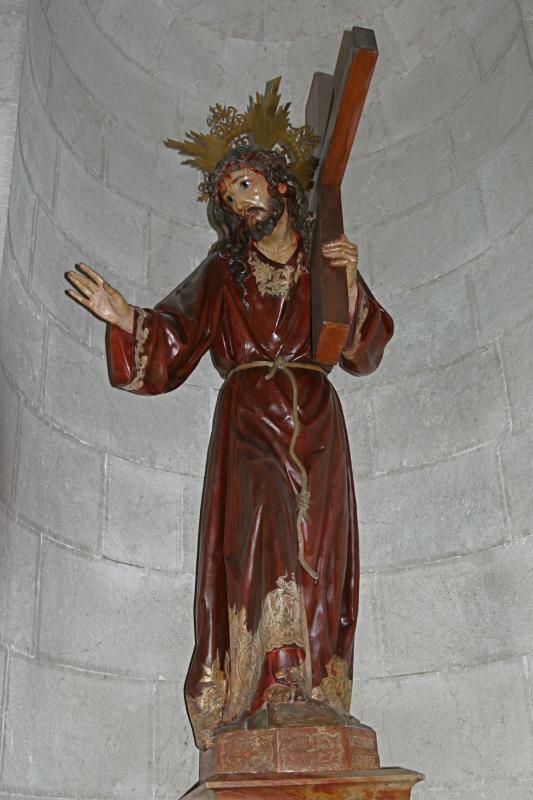 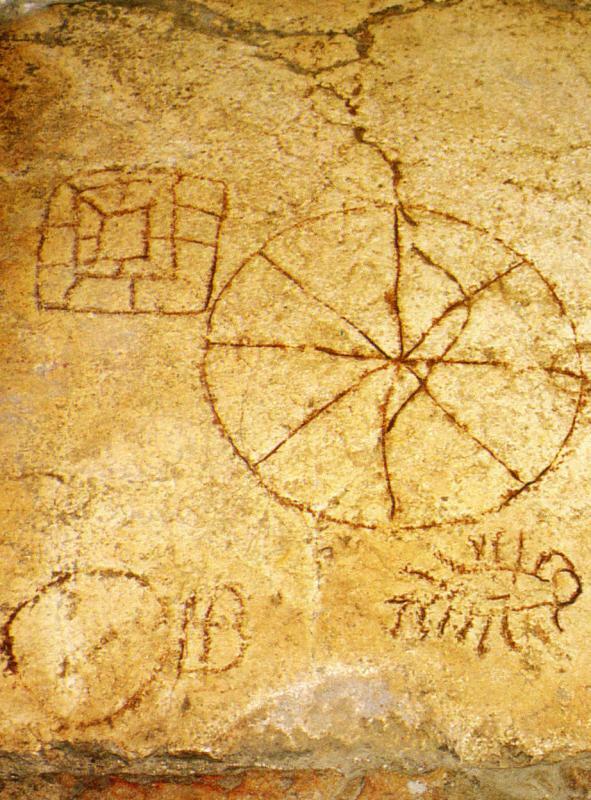 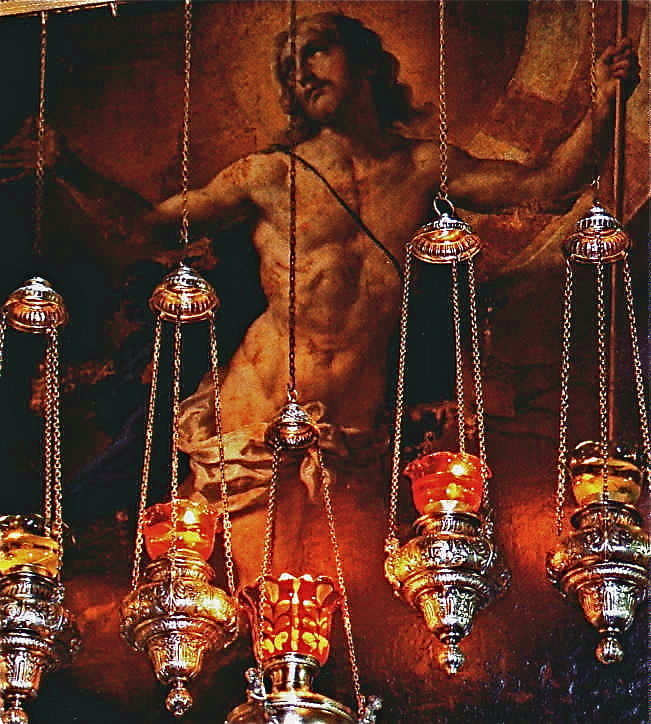 • Christ was crucified near (but outside) the city and by a well-travelled road (since passersby mocked him). 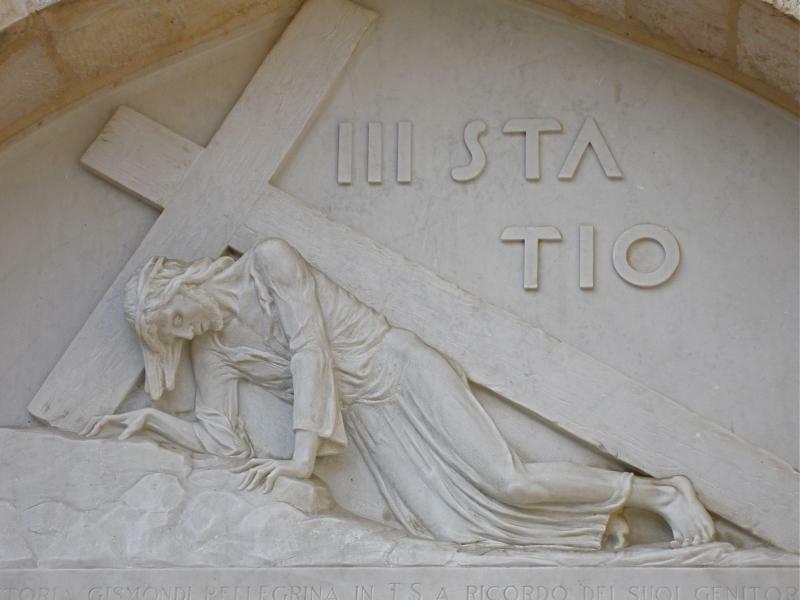 • He was buried in a new tomb, hewn out of rock, in a nearby garden. 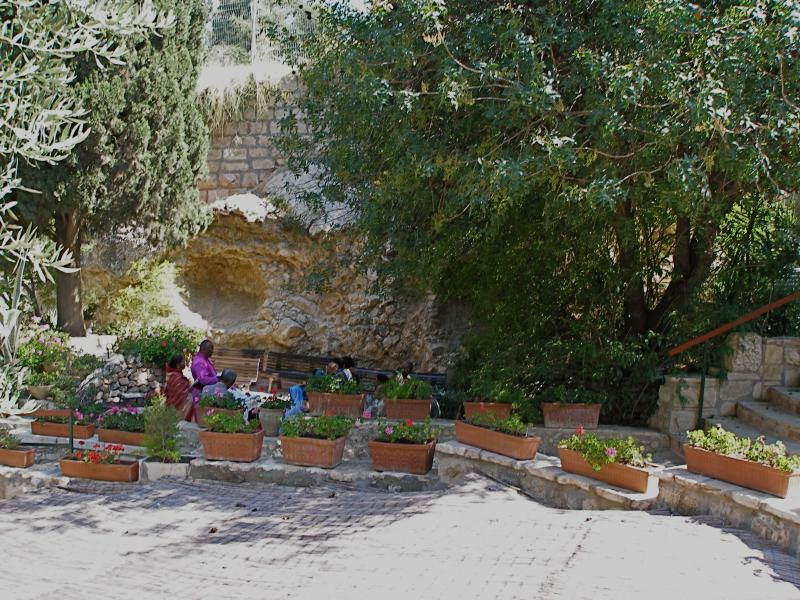 The Garden Tomb is certainly outside the walls of the Old City. 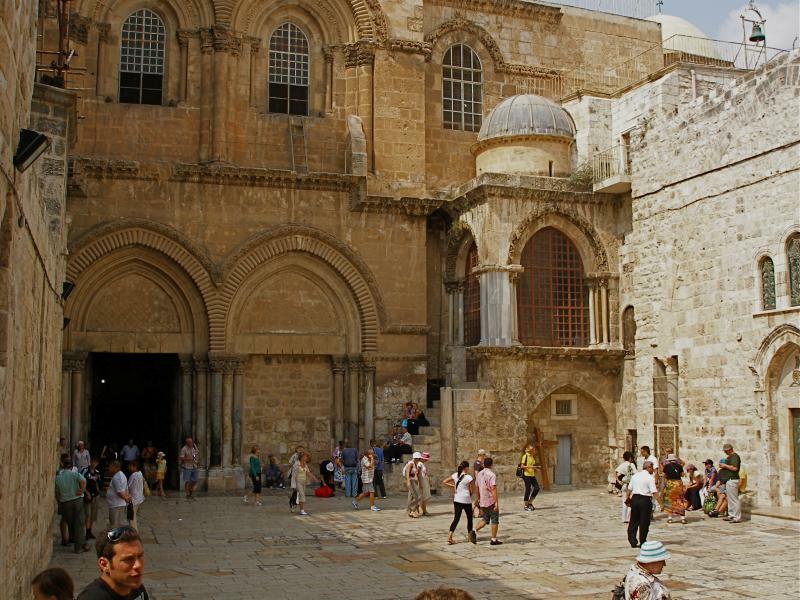 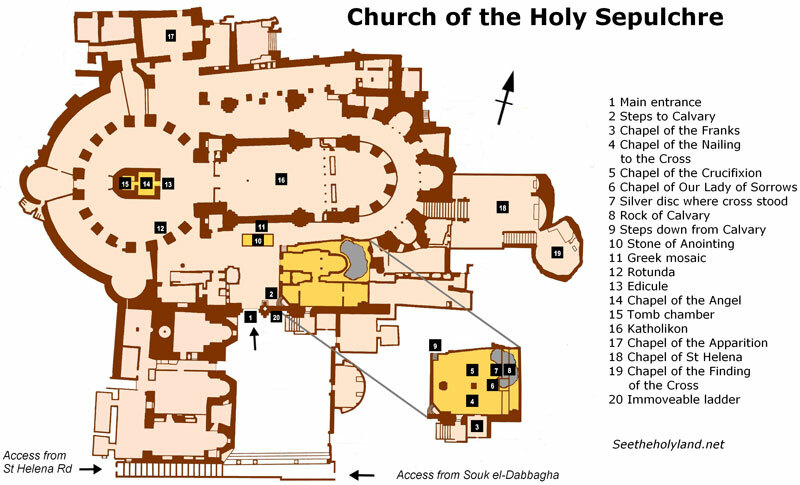 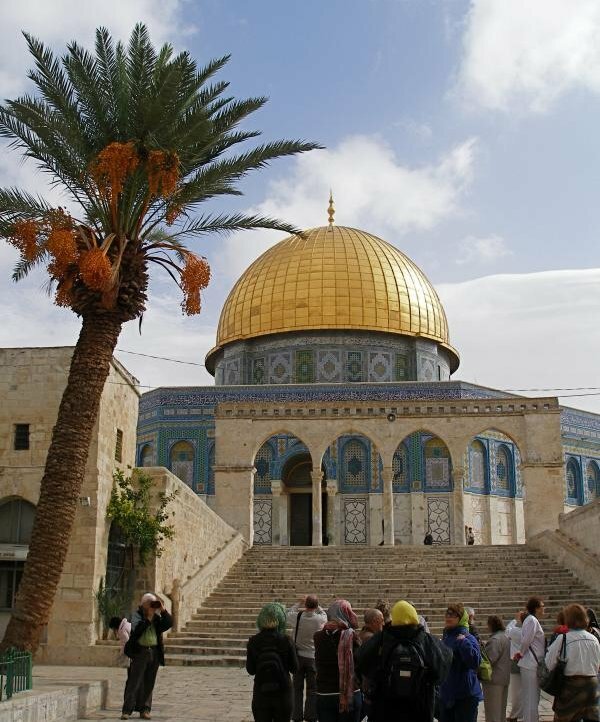 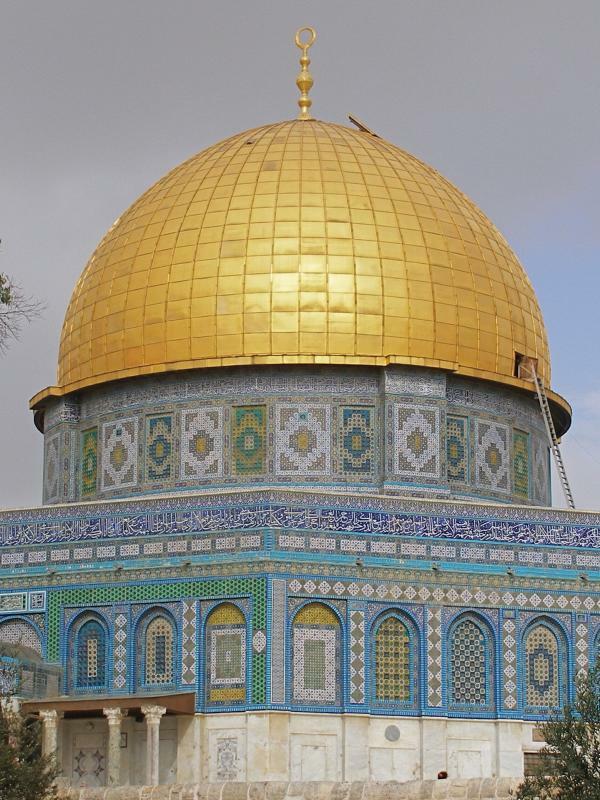 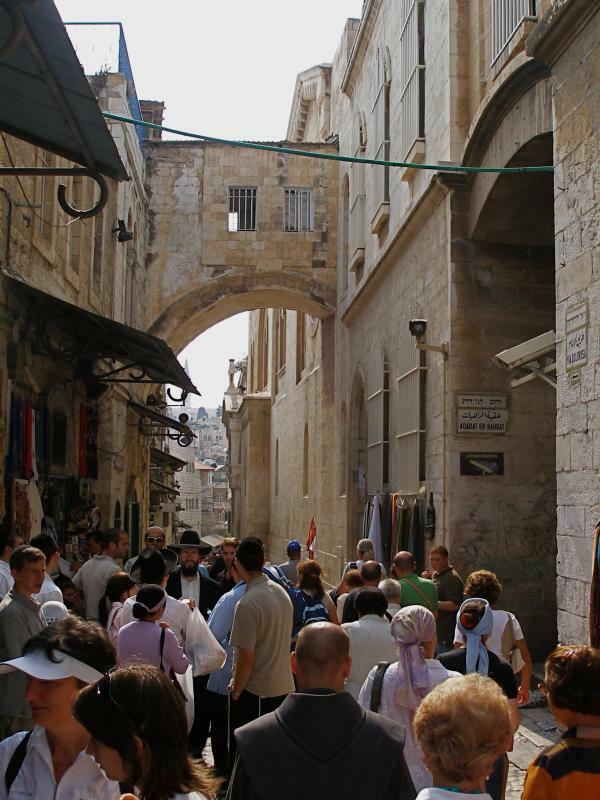 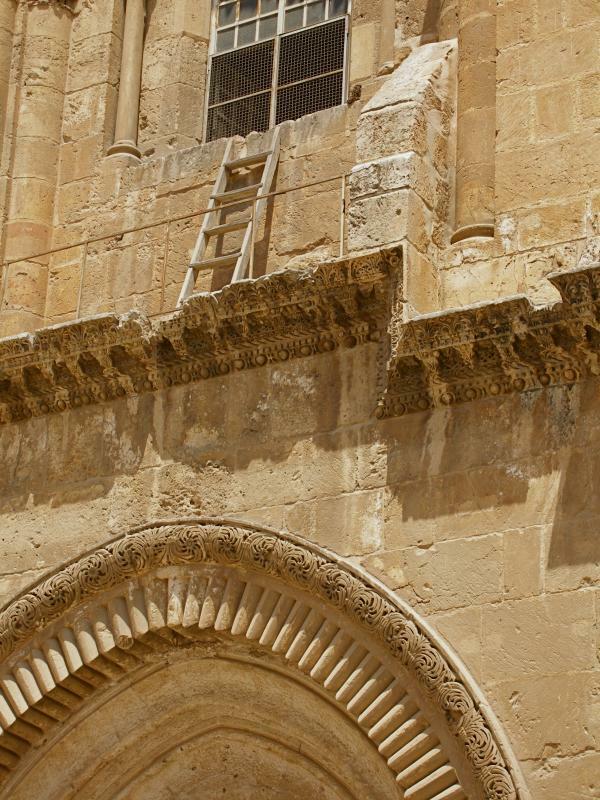 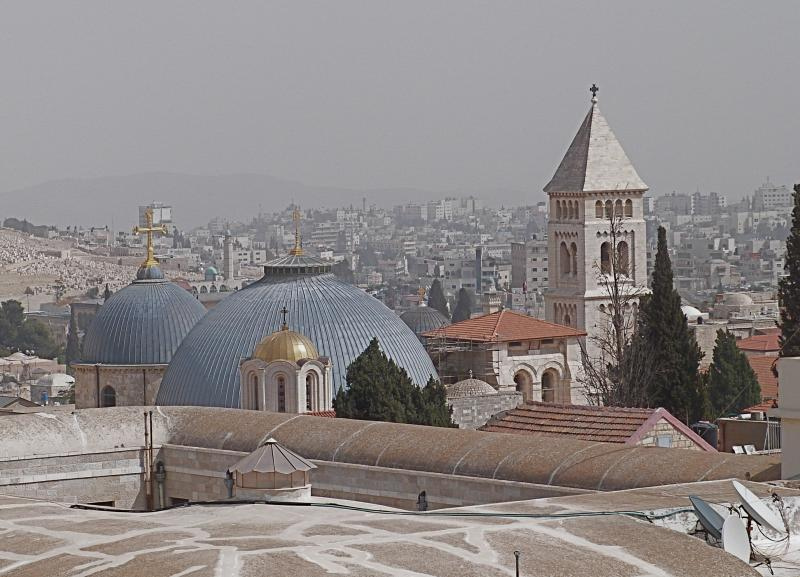 The Church of the Holy Sepulchre, however, is inside the walls — but it was outside until about a decade after the crucifixion of Christ, when the so-called third north wall was built by Herod Agrippa I. 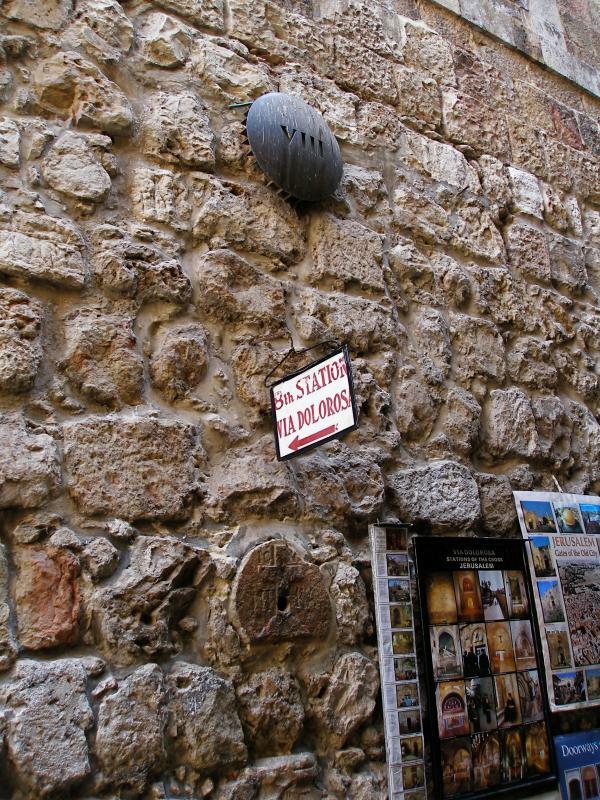 The present 16th-century battlements, constructed by the Turkish sultan Suleiman the Magnificent, follow the course of this 1st-century wall. 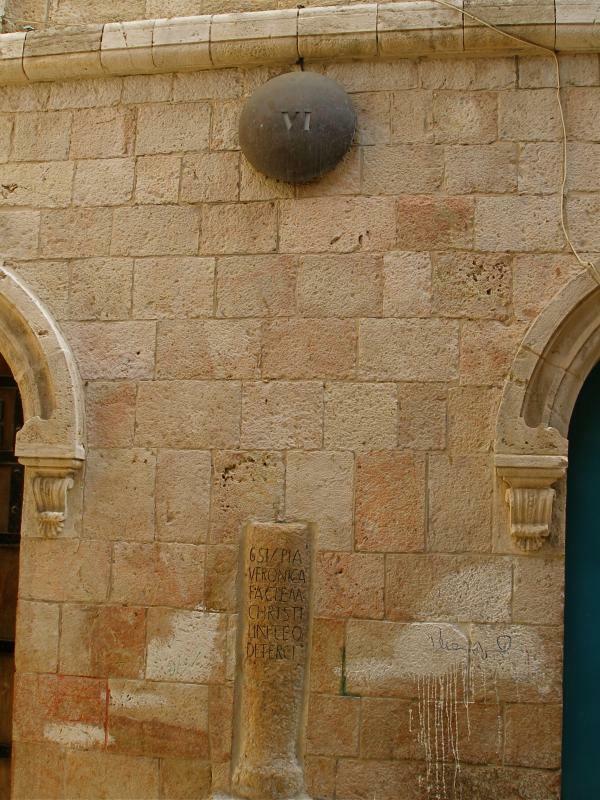 This fact was not known in General Gordon’s time. 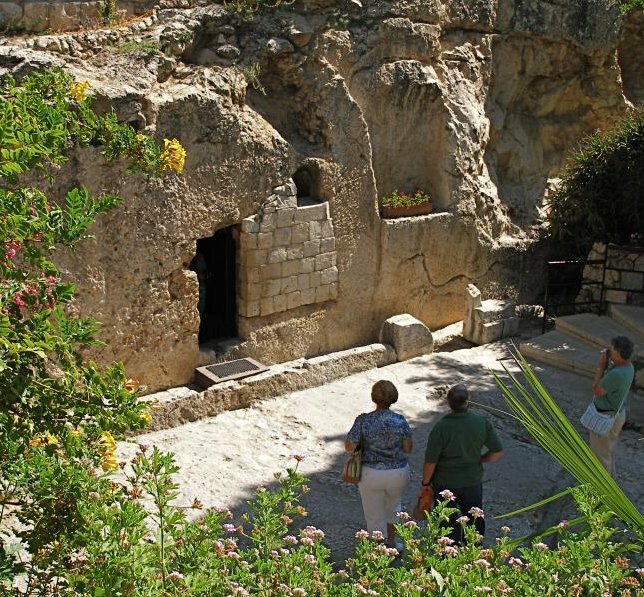 All the tombs in the Garden Tomb area date from 7 to 9 centuries BC — the time of Jeremiah or Isaiah, rather than Jesus. 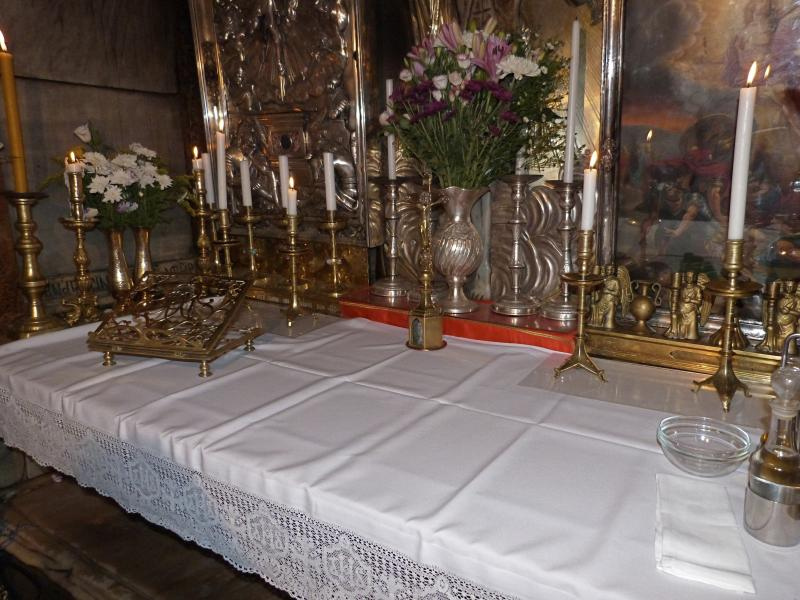 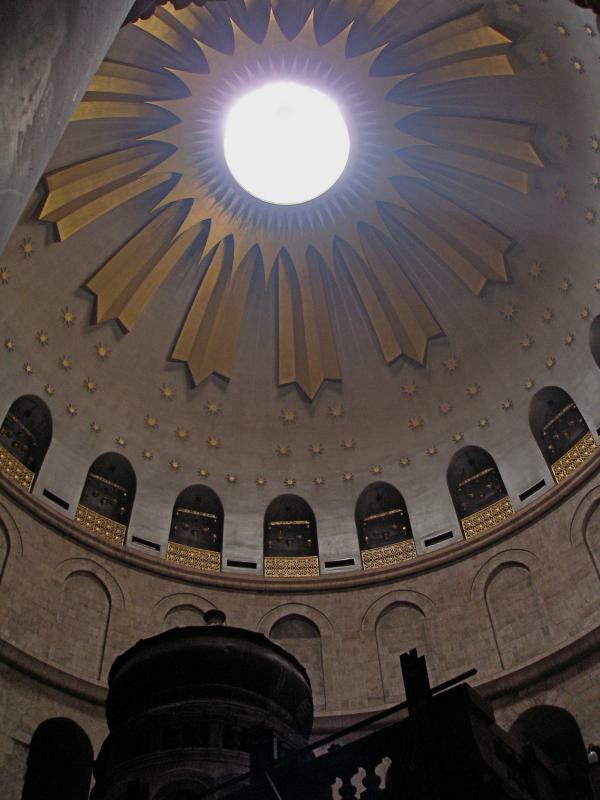 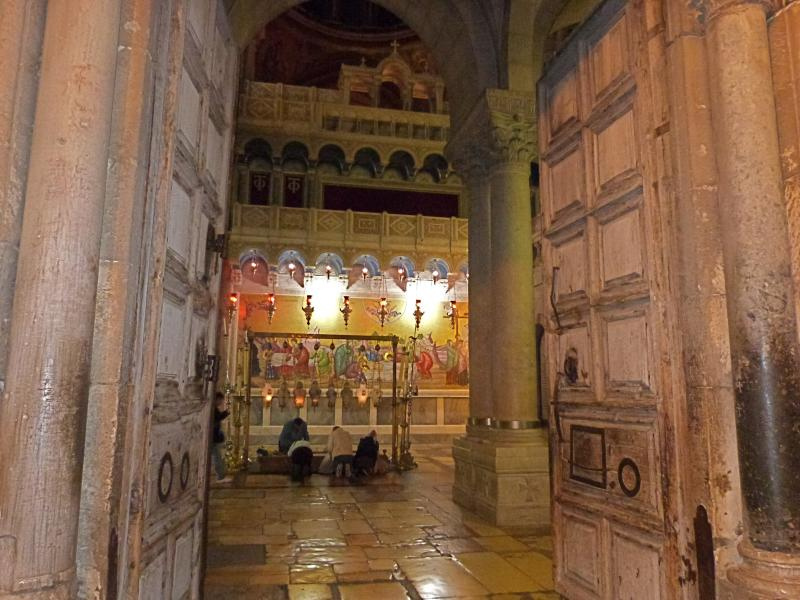 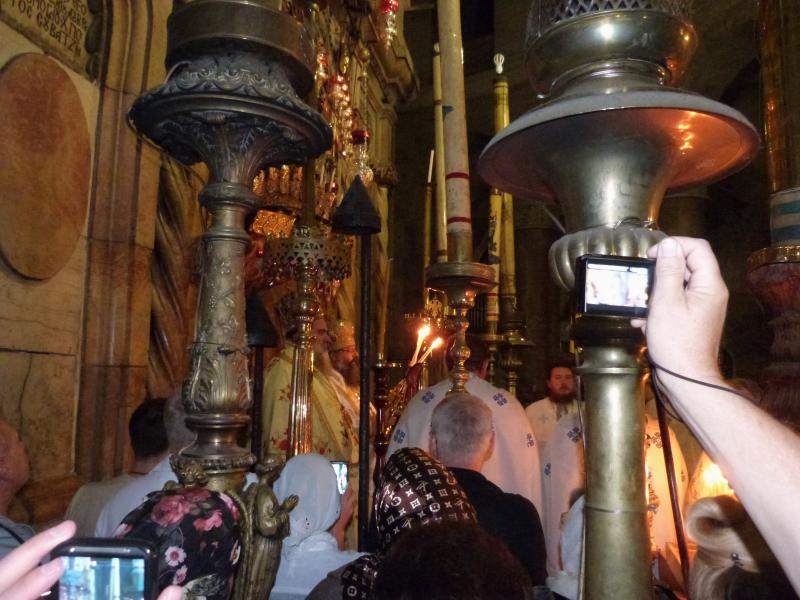 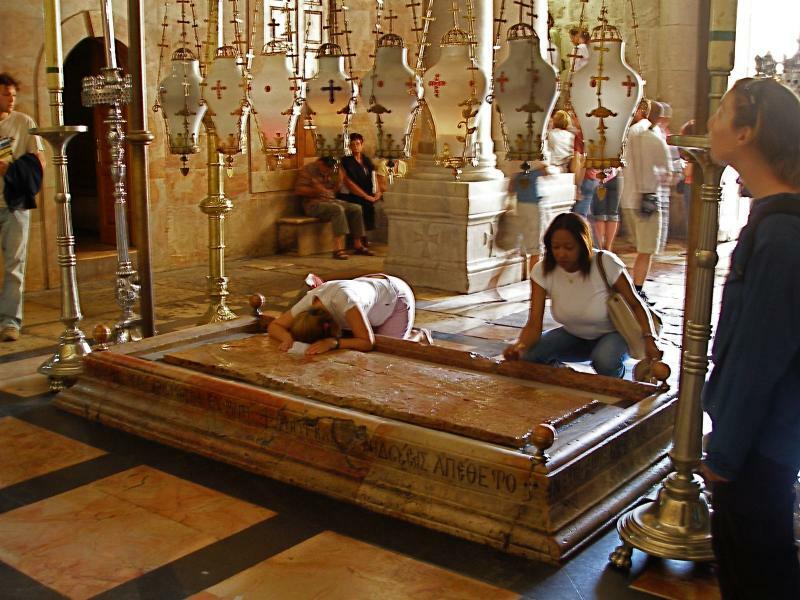 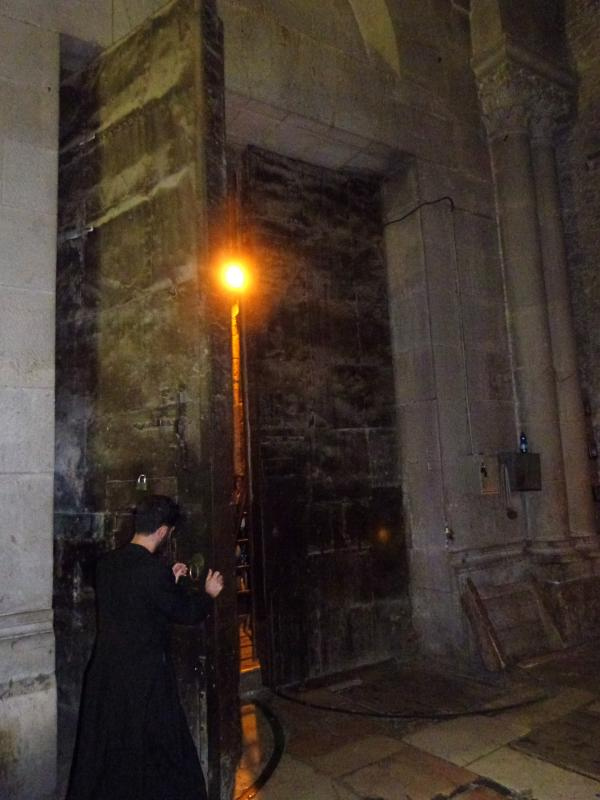 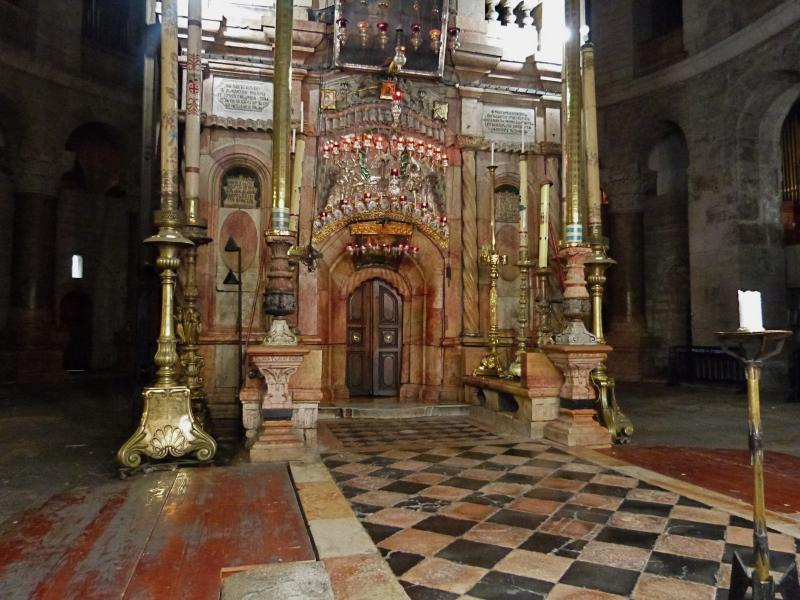 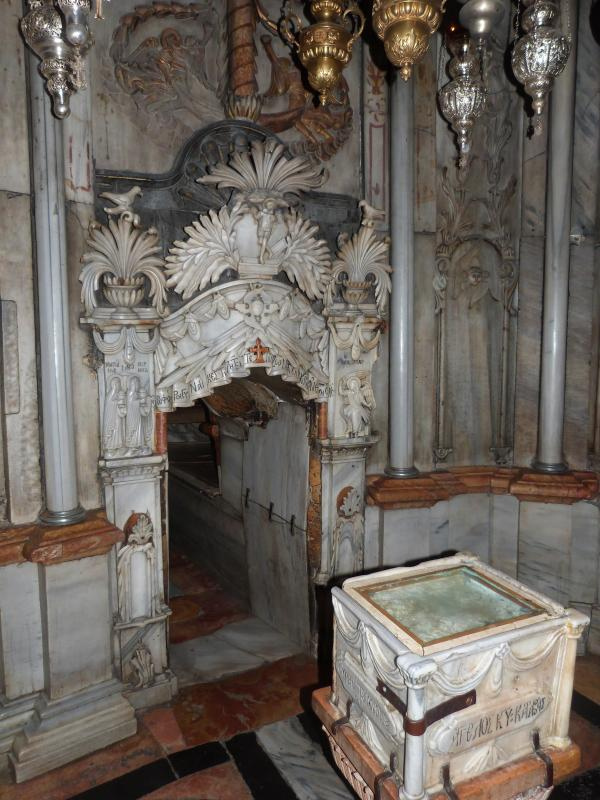 But the tombs within the Church of the Holy Sepulchre were new in the time of Jesus. 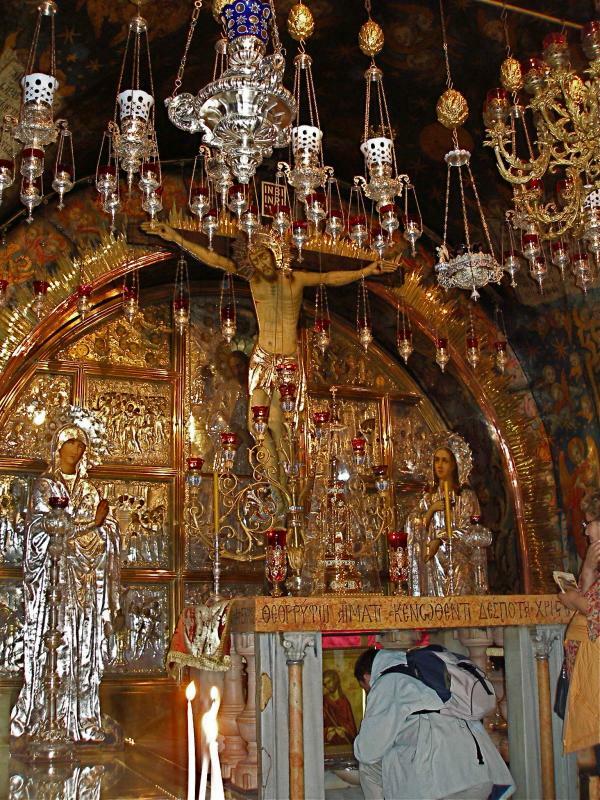 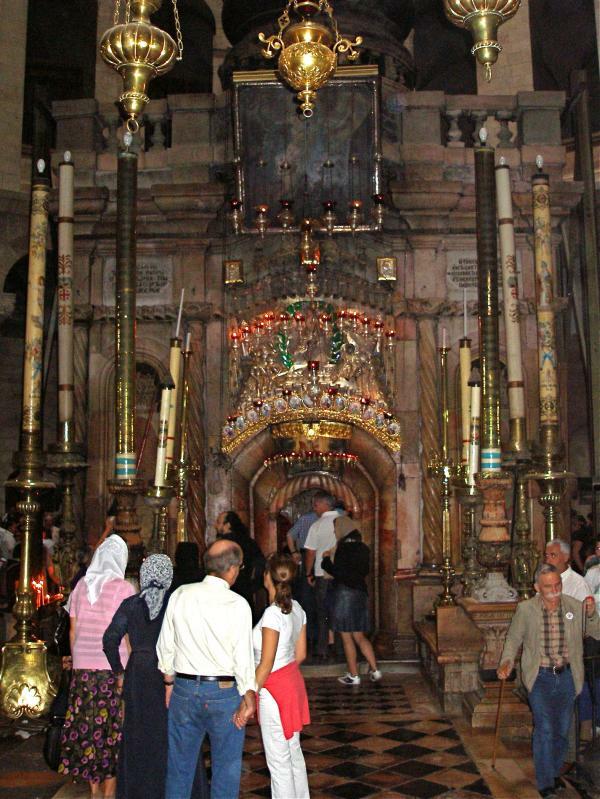 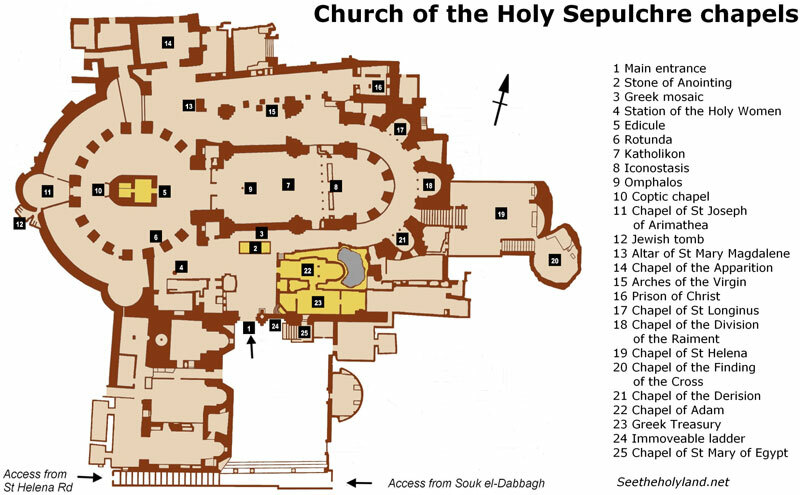 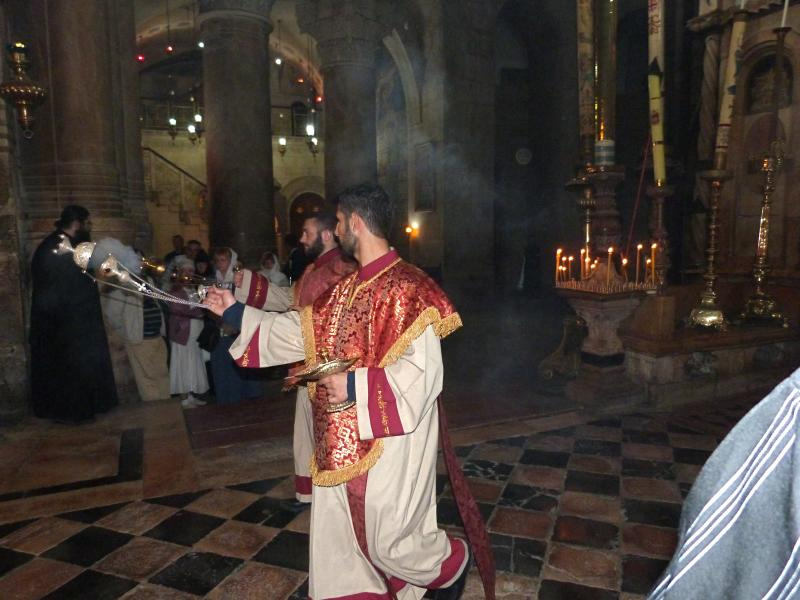 The Church of the Holy Sepulchre also has longstanding tradition in its favour, indicating that it stands over the sites that the early Christian community venerated as the places where Christ died, was buried and rose again. 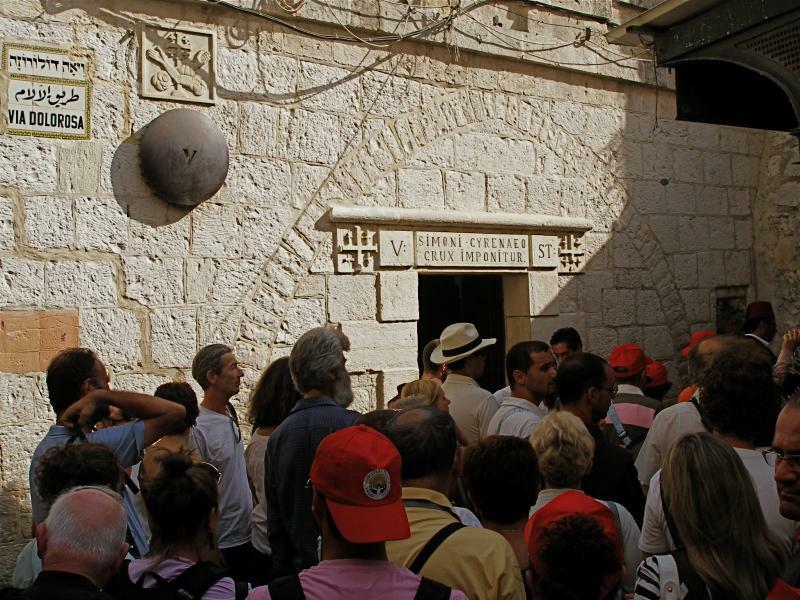 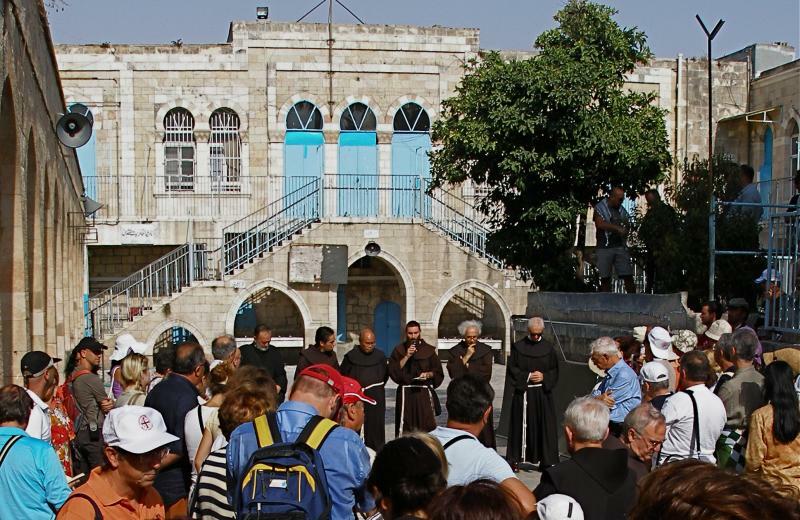 The Garden Tomb site, on the other hand, was used by Christian Crusaders as a stable. 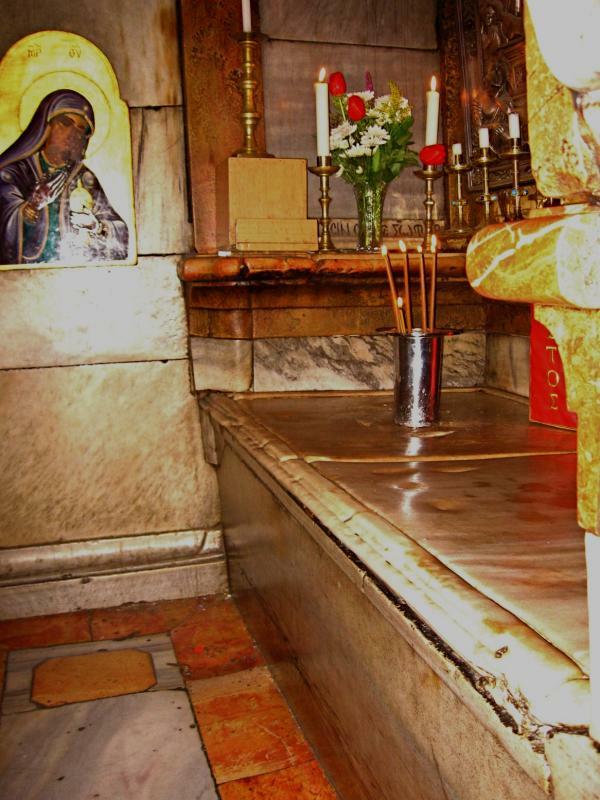 Despite its lack of authenticity, the Garden Tomb has an aura of calmness that encourages meditation.